Since 2001, the Page One Literacy Project has worked closely with Addison County elementary schools to provide after-school reading programs and seasonal events focused on promoting literacy. Small groups of volunteers design their own programs, engaging with students through reading, crafts, games, and other activities to inspire a love of reading and learning. Our partnerships with local schools help build relationships between the College and the community, and our enthusiastic volunteers are positive role models who show the importance of education and give students something to aspire to, just as our founder, Bonnie Greenwald McCardell, envisioned while her husband, John McCardell, was President of the College. To learn more about Page One’s mission, positive impact on Addison County, after-school programs, and one-time events, check out our Facebook page and our website (go/Page1) or email us at pageone@middlebury.edu. We look forward to having you join our team of passionate Midd Kids making a difference in our community! This entry was posted in Midd Blogosphere and tagged Student Org Profiles, Uncategorized on May 15, 2017 by Chelsea Colby. 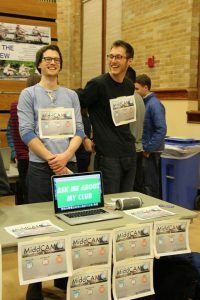 Middlebury College College Access Mentors (MiddCAM) is a student organization that pairs college students with local high school juniors and seniors from Middlebury Union High School (MUHS). Our goal is to provide information and support to students as they navigate towards their post-graduate plans and apply to colleges. We hope that our mentors can act as positive role models for our mentees’ lives beyond simply academics, and also serve as a resource to relieve unnecessary stress from the college process. I joined MiddCAM during my sophomore year, and am currently mentoring my second high schooler. I really enjoy hanging out with my mentee, getting to use my college experience in a purposeful way, and hearing stories from other mentors. Not only have I enjoyed spending time with my mentees, but I have also had the privilege of gaining a deeper connection to MUHS and their fantastic guidance department! MAlt is Middlebury’s alternative break program. Each year, students design and plan six trips during February Break (national and international destinations) and one Vermont-based trip during Fall and Spring Breaks. The goal of the trips is to engage Middlebury students with communities across the nation and the globe in order to share an experience, provide service where service is needed, and learn about the systems that shape community realities around the world. My favorite thing about MAlt is that it allows students to immerse themselves in the complexities of an issue or theme that they are passionate about, engaging with the issue on a deeper level than the classroom can provide. As a former trip leader and participant and current board member, I’ve had the amazing opportunity to experience the sense of authenticity and accomplishment that comes with engaging in strong direct service, the satisfaction of successfully planning the logistics and itinerary of a trip I was passionate about leading, and now to support new leaders in the development of their trips. 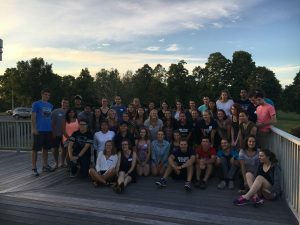 I think an invaluable aspect of MAlt is the ability students have to connect with communities across the country (and beyond) and find the similarities between our different cultures, identifying the ways in which we are privileged as Middlebury students and the ways in which the communities we serve are also privileged. This entry was posted in Midd Blogosphere and tagged Student Org Profiles, Uncategorized on May 13, 2017 by Chelsea Colby. 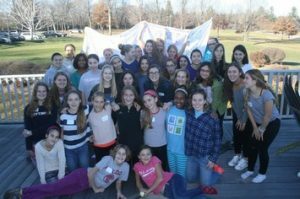 Sister-to-Sister aims to support middle school girls in the area. We get together with the girls in an informal and comfortable environment and discuss common issues including school, body image, peer pressure and relationships. We act as a support system for the girls, and host monthly events such as log rolling, zumba and game night. What are some of your favorite STS memories? We had a body positivity and spa night that was really great, the girls were so open to discussing hard topics, and then we all got to treat ourselves to facials and manicures! I loved our science night, when some chemistry professors put together science experiments for the girls to do, and they were all so animated. They knew all the answers to all of the questions. We were all so impressed! What does STS mean to you? 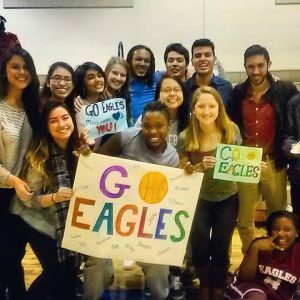 I joined STS to get more involved in the community and at Chellis House, but over the years it has become so much more than an extracurricular activity. I’ve loved getting to know both the older and younger sisters! When we talked about stereotypes and gender roles at the summit with the feminist club. Our movie night when we ate popcorn and watched Despicable Me. New friends, exciting activities and community bonding! Spa night where we first had a really cool discussion with Everybody, played love tag (I still have my sticky notes) and hung out in chellis, did face masks and nails!! Bonding and building lasting relationships with the younger girls as well as other college-aged peers. Seeing everyone in such a relaxed, joyous setting and breaking down the barriers between our academic/campus orientated lives and the broader community. Hearing the truly genuine and meaningful insights and concerns the girls share – both young and old, as I have gained so much from both. One of my favorite memories was at the end of this summit this year as Karin was showing the photos she had taken throughout the event. I watched the girls eyes light up in laughter as they shouted out each others names as each photo came up. I sat at the back with one girl licking the extra homemade icing out of the bowl and we shared how much we just love cupcakes and icing and all the little tricks we do when decorating or baking. I loved seeing how similar we were and how excited she was to share all the little things she loves to do, which sometimes you lose track of when caught up in college work. It has shown me the value and importance of youthful wonder. Spa Night was so much fun – just talking to the girls and getting to know them while doing their nails was a really cool way to connect. I loved the exercise we did that night with Every Body where we wrote nice little notes about what we liked about each other – not only was it good for the girls, but I also thought it was good for us too! I have my notes up on my wall where I can look at them everyday. I love that we get to connect with the middle school girls because it provides them with positive role models, but I also love it for us, too – hanging out with these girls is such a nice way to decompress and let go of all the stress that college can bring and just have fun like a middle schooler again. This entry was posted in Midd Blogosphere and tagged Student Org Profiles, Uncategorized on May 5, 2017 by Chelsea Colby. Nutrition Outreach and Mentoring is a student organization at Middlebury College with the goal of creating community and connecting people through food and food education. 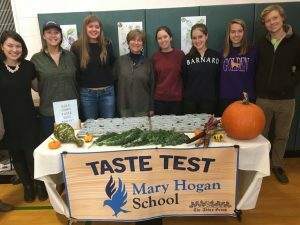 NOM organizes volunteering events and classes with the purpose of introducing students to local, fresh, in-season produce following the Vermont Harvest of the Month curriculum. The aims of this initiative is to establish healthy eating and cooking habits and to raise awareness about nutrition and current food issues. Since my first few weeks at Middlebury I have been a part of the NOM community. Over the past academic two years, I have worked as a NOM volunteer, and as of the beginning of this year, I began serving on the NOM board as treasurer. NOM has been a unique outlet for me as it melds my passions for nutrition, food studies and environmental studies with my passion for working with young children. Additionally, I have enjoyed volunteering for NOM as I have been exposed to different dimensions of the local community; I have volunteered at Mary Johnson Childcare Center, Mary Hogan Elementary and the Bridge School. 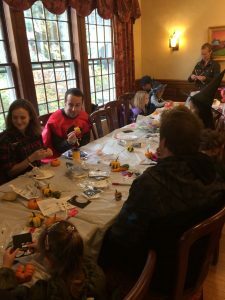 These volunteer experiences have allowed me to share my passion for local, healthy food with the children, and empower the children to share the “Vermont Harvest of the Month” foods and healthy recipes with their friends and families. 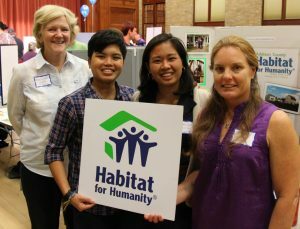 How often does the Middlebury chapter of Habitat meet and how many builds does the club participate in each year? Habitat does not hold regular member meetings. What we try to do is organize regular Saturday builds with Vermont Habitat for Humanity chapters. Usually, the builds are 4- to 6-hour long commitments and we try to do five builds per semester. In addition, we also hold two longer break builds that last one week over February and Spring Break. Where and when did the most recent build take place? Last Saturday, April 22nd, we had a group of five go out to a build site in Cornwall. We worked with the local Addison County Habitat for Humanity chapter on a new house that just got started this month. Students can get involved by signing up for our mailing list or requesting for membership on MiddLink. That way, they will receive emails and notifications of when we are open to signing up for builds. Signing up happens through go/hfh. What’s your favorite part of being a part of Habitat? Sarah Scott ’17: My favorite part of Habitat is that I get a chance to participate in what I think of as a non-conventional service activity. For me, ever since high school working with younger students as a mentor or tutor has been almost the sole way of volunteering. With Habitat, you get to learn some new skills, meet some new people, and potentially get out of your comfort zone a bit. 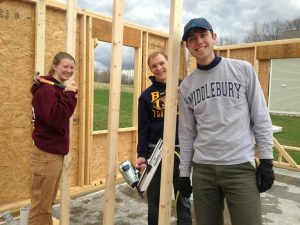 Gabbie Santos ’17: Favorite part is collaboration all around: among Middlebury peers who I might not necessarily interact with on campus, local community members, and sometimes, the family who will own the house, as they too have to work on the site for a specific number of hours (per Habitat guidelines). This entry was posted in Midd Blogosphere and tagged Student Org Profiles, Uncategorized on May 3, 2017 by Chelsea Colby. The Service Cluster Board is made up of the 17 service organizations on campus, the 2 SCB Coordinators, and our advisor, Ashley Laux, from the Center for Community Engagement. The Service Cluster Board supports individual service organizations by helping them meet their missions and responsibly use their funds. The SCB oversees the budgets of the individual service organizations, hosts monthly leadership trainings, and manages the Flex Fund. I’ve been a SCB Coordinator since Spring 2016, and it’s been an incredible way to learn about all the ways that students are involved in service both on and off campus. I first learned about the position from being a board member of Page One Literacy, which is the SCB org. that organizes after school reading programs for students in the local community. We were extremely excited to welcome Jin Sohn as our other coordinator this spring after she came back from abroad, and she will continue serving as SCB Coordinator next year. On a day-to-day basis, the SCB coordinators communicate with student org. leaders via email, process vouchers for org. expenses, audit budget reports, and more. We just had our latest monthly meeting this past Sunday, in which we invited Barbara McCall, Director of Health and Wellness Education, to host a workshop on “Self-Care for Activists.” The monthly meetings have been a great way to get to know student org. leaders, and we hope that next year the SCB will continue to expand its influence on campus by increasing programming and learning about new ways to serve the local community. This entry was posted in Midd Blogosphere and tagged Student Org Profiles, Uncategorized on April 28, 2017 by Chelsea Colby.